Does Medicare Advantage Reduce Avoidable Hospitalization? The American Association of Family Physicians is reporting that a Robert Graham Center study has found that Medicare Advantage enrollees have a 10 percent lower rate of hospitalizations compared with traditional Medicare beneficiaries. The results varied by state, with Rhode Island, Oregon and Massachusetts actually seeing higher rates of avoidable hospitalization. Arizona, on the other hand, was one of several states with substantially lower hospitalization rates compared to traditional Medicare patients. While some Medicare Advantage providers can reduce hospitalization incidents through better monitoring and preventive care, it’s important to remember that Medicare Advantage isn’t necessarily the best solution for your particular situation and health profile. The lower rate of hospitalization under Medicare Advantage may also be aided by its rising popularity resulting in more healthy people enrolling. 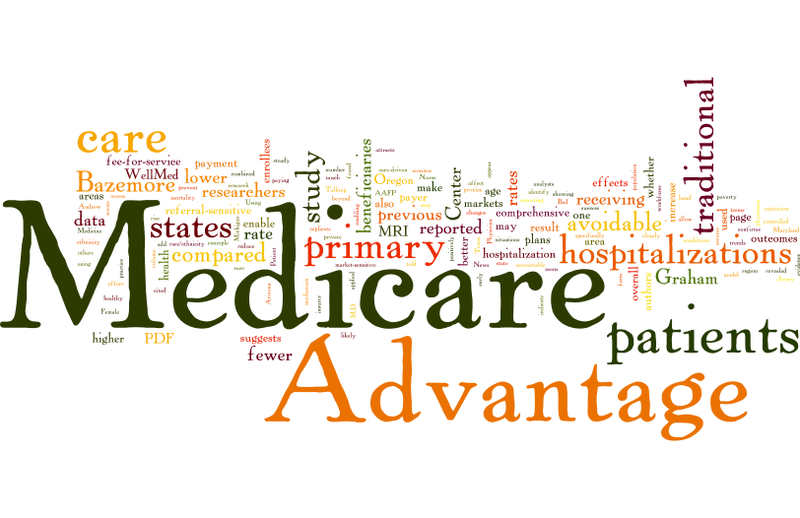 In the end, Medicare Advantage is simply an alternate payment method for Medicare. A healthy lifestyle and good preventive care will go a long way toward keeping you out of the hospital, no matter what Medicare solution you choose. AAFP News – Medicare Advantage enrollees have a 10 percent lower rate of avoidable hospitalizations compared with traditional fee-for-service Medicare beneficiaries, according to a study published by the Robert Graham Center for Policy Studies in Family Medicine and Primary Care that focused squarely on patients age 65 and older who reported traditional Medicare or Medicare Advantage as their primary insurer. Medicare: What Happens When You’re in the Hospital for Observation?